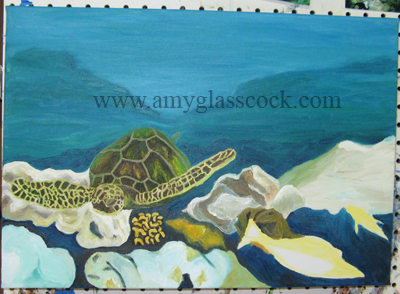 7.26.2010>>> Next I am going to paint a green sea turtle! Stay tuned!! 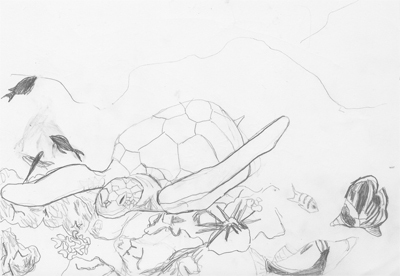 This is a rough sketch of my sea turtle painting. 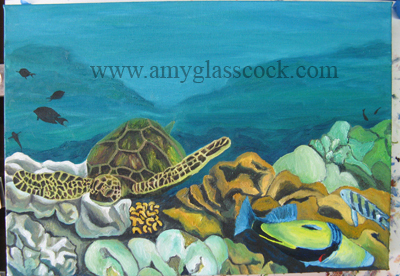 I am going to include some tropical fish as well I think. I started blocking in where everything is going to go today. 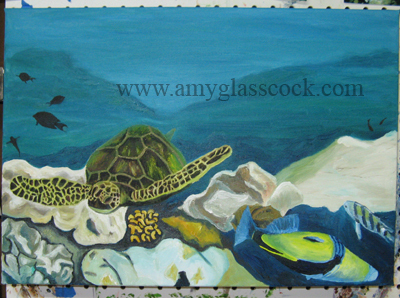 I started adding the green to the turtle today. So far so good! 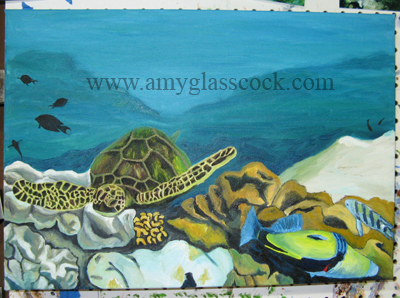 I worked on his flippers and head more today. I also added a grayish green to the cracks on his back. I added the fish today. 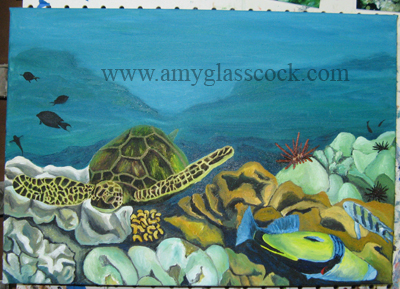 I also added some more dark brown to the turtle. 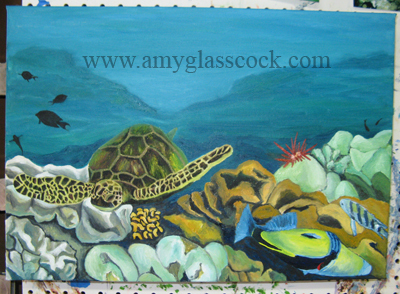 Today I worked on the coral on the bottom left side. 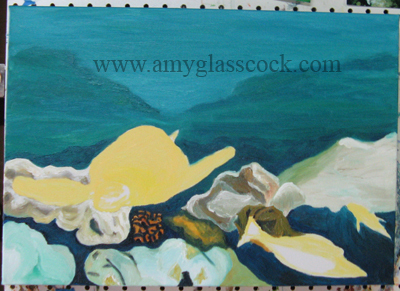 Today I worked on the orangey brown rocks on the right side. 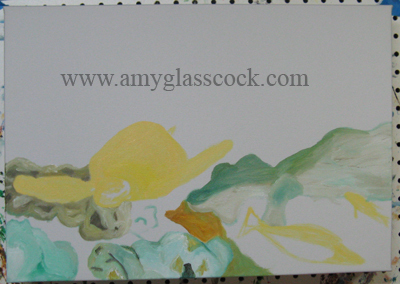 I'm liking all the brainy shapes so far. 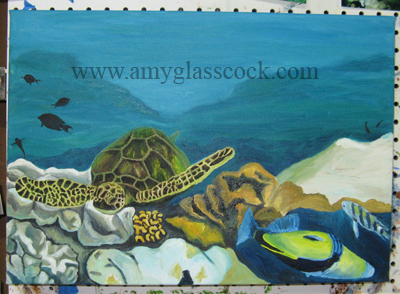 I worked on the rocks in the back right today. 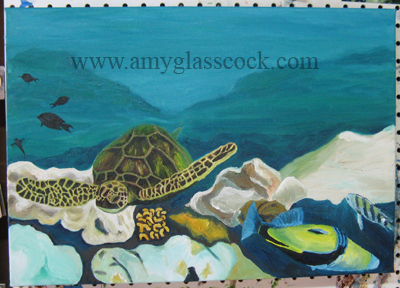 I worked on the rocks in the back right again and I added the red sea urchin. I worked on the red sea urchin some more. It is frustrating me a bit. 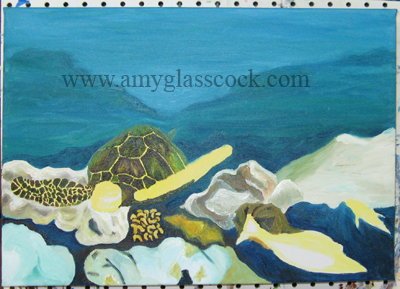 I also added some shadowy red-black sea urchins on the right side.